As mentioned in previous article, my notebook – Compaq Presario CQ42-270TU – equipped with Wireless Card Realtek RTL8191SE. Slackware 13.1 could not detect it by default. I need to manually install the driver for the Wifi RTL8191SE. It will take a couple of minutes to install the driver. So be patient. If there is no error, the result should look like above. Now reboot the system to read the new installed driver. You should now have driver installed. Try the ‘ifconfig -a’ command, you should see a ‘wlan0’ interface. 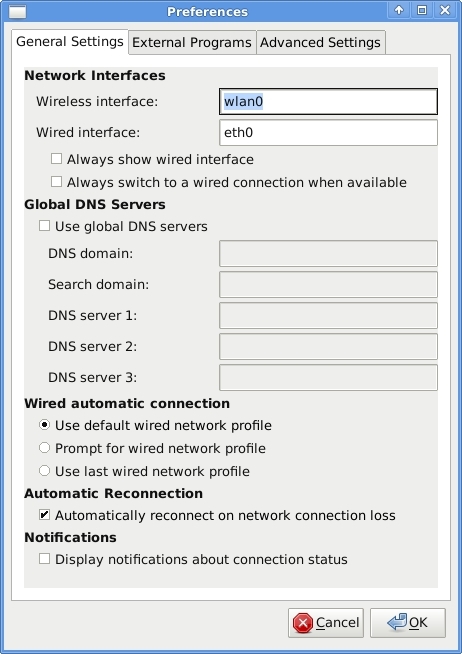 I use Wicd Network Manager to configure network interfaces. Click ‘Refresh’ button in the Wicd to re-read available interfaces. If Wicd still can not detect the Wifi interface, try to add it manually using ‘Preferences’ and set the ‘Wireles interface’ to wlan0. Click OK and then Refresh again. Now you must see available wireless networks around you. I am getting this type of compilation process. Am i going to right track or not?. It is taking more and more time .Don’t know when it will be completed.Waited more than 30 minutes. yes …It came same as you posted above after 3 and half hrs. Don’t know why it took a lot time. But also it is not searching any wireless network. I am using VMware 10 and backtrack 5. When i connect to my windows os then only it shows wired network connected but directly wifi is not shown inside back track. If other solution is there then please share. yea it completed correctly and it took 4 hrs to complete. But also it was not showing wireless around me. Would you help with the Step 2process, i.e. unpacking the downloaded file? I have it downloaded and then attempted to Extraxt via WINZIP,, and thats where the problems start. All i have in front of me thereafter is the listing of the files in the software in particular locations within my system. But, the actual opening of the software seems to be beyond me at this point. That’s great. Many thanks for the tips. Hi, I’m using Slackware 13.37 and WiFi installed but I’m not able to detect any wireless network. The following output shown everything is ok, or not.. Your wireless device is already detected by Slack 13.37. 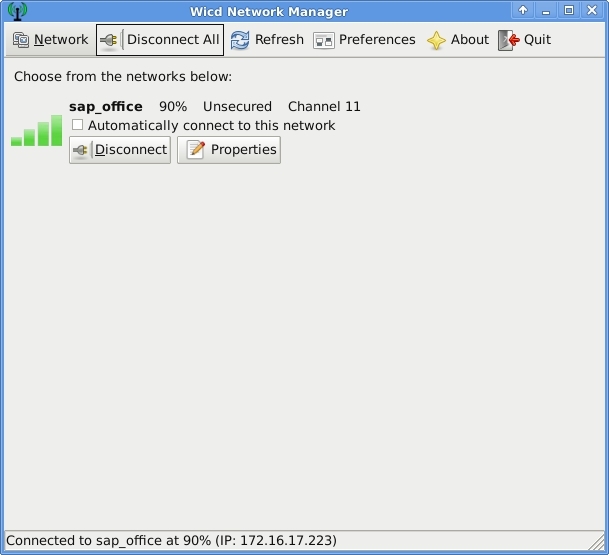 I use Wicd Network Manager (as explained in the post above) to scan and connect to wireless network. I’m still having the same problem, I can’t discover any WiFi access point and I’m using Intel(R) PRO/Wireless 3945ABG/BG Network Connection driver and shown installed properly but still….. I solved the problem by using rfkill unblock (identifier) command..
Hi, I use Debian and try install my driver but I stay with a problem..
Hi, did you already install the headers package for that linux-kernel version? Also make sure that the /lib/modules/2.6.12-9-686/build directory is linked to the /usr/src/linux-headers-2.6.12-9-686 directory. Try to compile again. thanks for the information man..